It’s been a while since I wrote anything on here, but I’m back and I hope that I will keep up my posting on this page. In the last few weeks I’ve moved back to my parents house, I’ve been looking for new jobs and I’ve been trying to keep myself busy! With the process of moving, came the ability to update my bookshelves and give all of my books a new place on the shelve. I do admit that there’s not really a logic in my shelves at the moment, maybe that’ll happen in the future, but for now every single one of my books has a spot on my shelves. Okay, maybe not all of them. 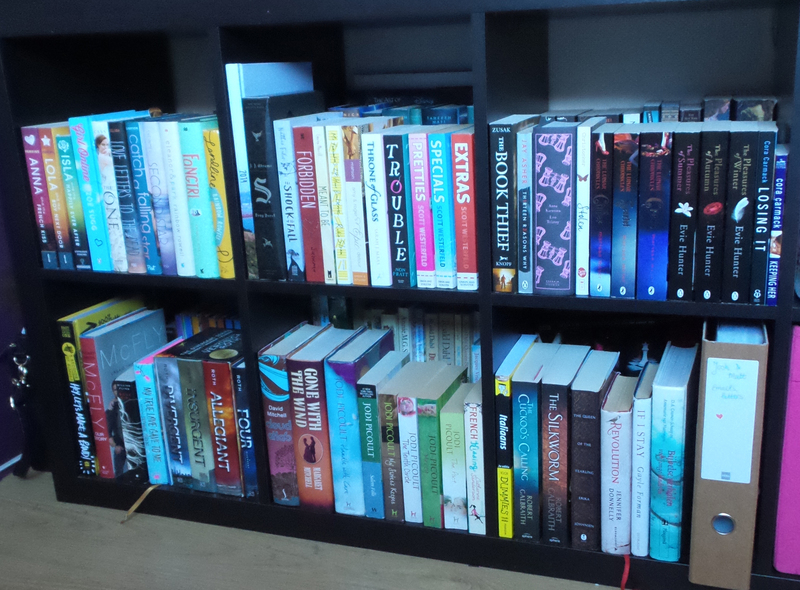 I realised that my sister has quite a few of my books in her room and when I will get them back I will probably have to rearrange some books again. 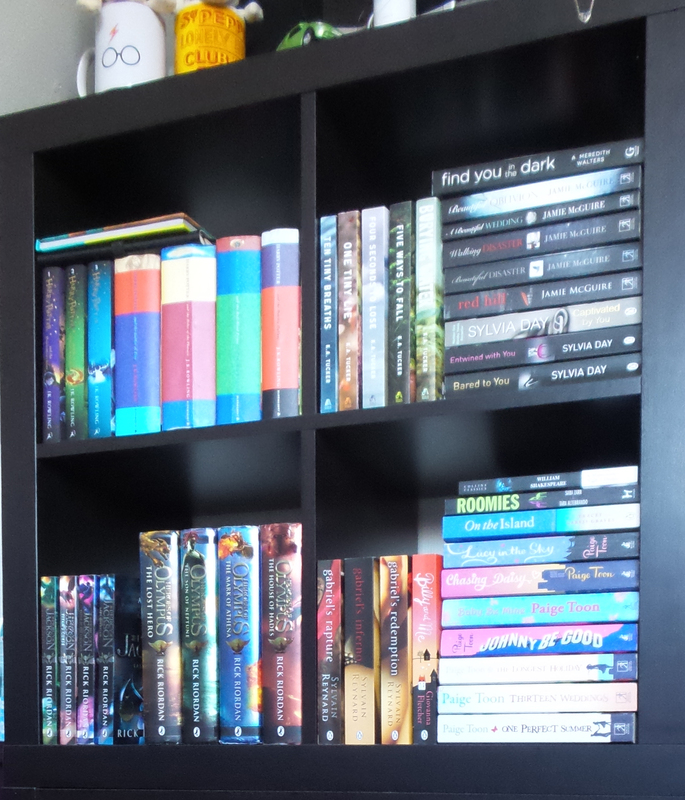 But without further ado, here are my bookshelves as they currently are! 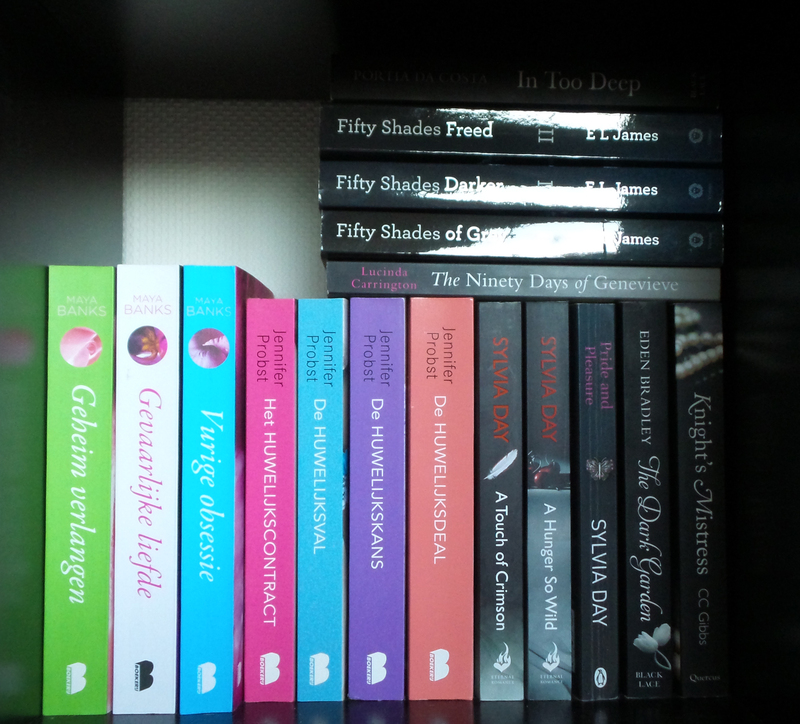 These are the shelves on one side of my room, they hold both Dutch and English books. 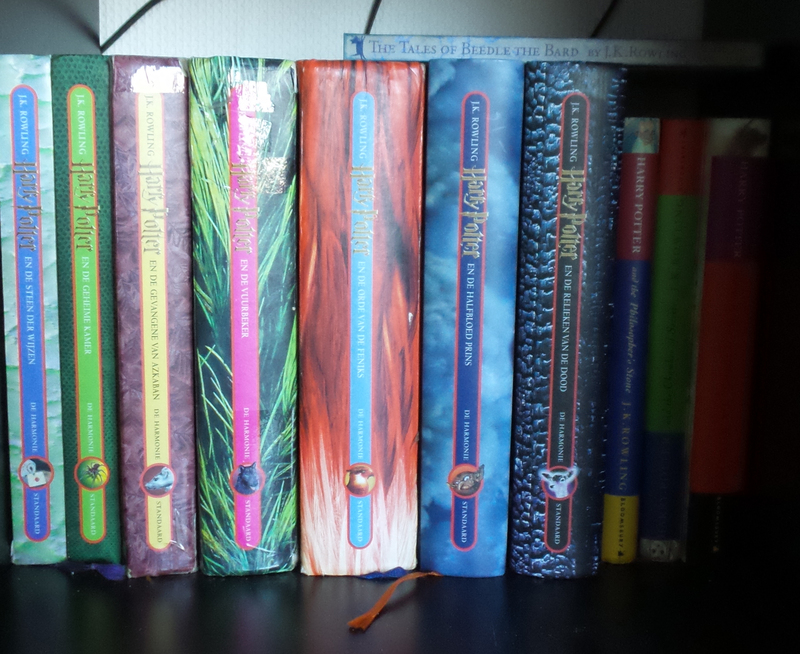 The first one hold series – Eragon, Hoe Overleef ik, Star Wars, Willow, Flowers in the Attic, Broken Wings, Charmed, Little House, Nicholas Sparks and my Lonely Planet books. The second one holds mostly paperbacks. My Mortal Instruments and Internal Devices series, Ken Follet, A Song of Ice and Fire, John Green, My Sweep Series and Wicked. The third shelves holds my classics, some of my History minor books, Lord of the Rings, Dutch books and some more series. 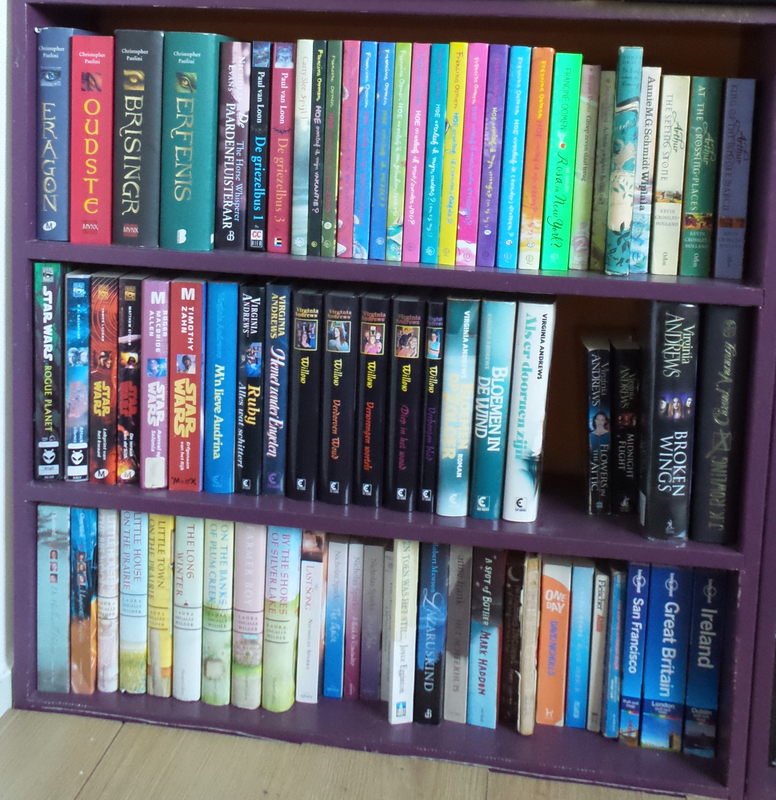 The next two pictures are the overview of my other bookshelves, because they are all doublestacked (woops) I have each shelve in the pictures beneath that. 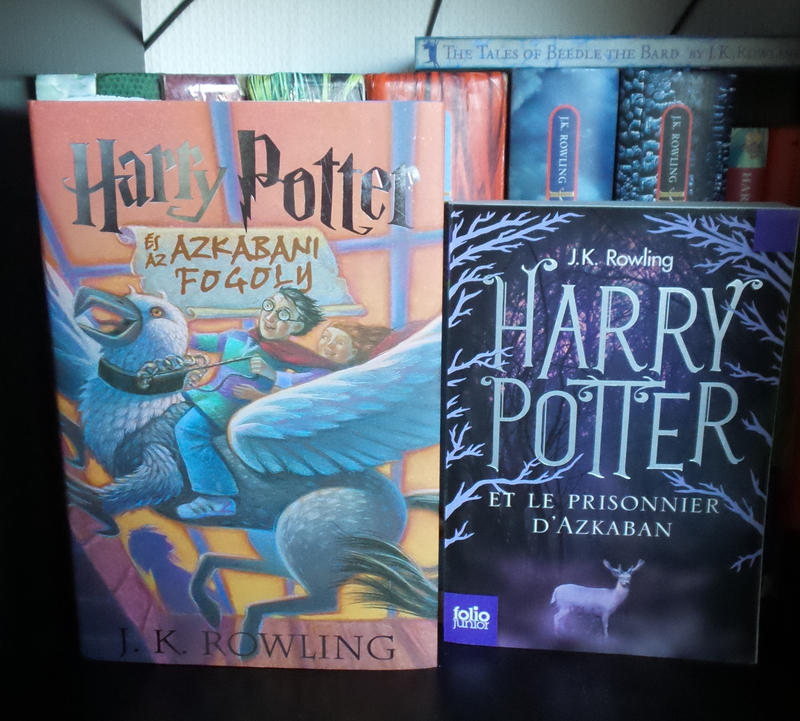 Shelve One: Harry Potter – My Dutch copies, my English copies, Part 1-3 in the 2014 Bloomsbury editions, Part 3 in Hungarian and French, Tales of Beetle the Bard, Quidditch Through the Ages. 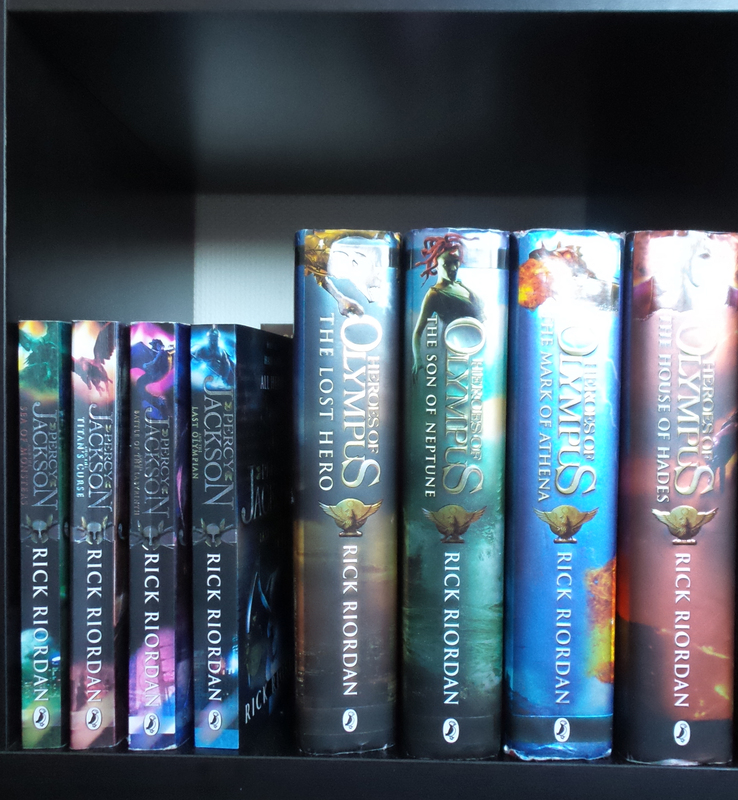 Shelve Two: My Percy Jackson and the Olympians books (book 1 is with my sister), Heroes of Olympus series, The Maze Runner trilogy, The Knife of Never Letting Go, Chronicles of Narnia 1-4 in Dutch, The Walking Dead Vol. 1, Captain America, Saga Vol. 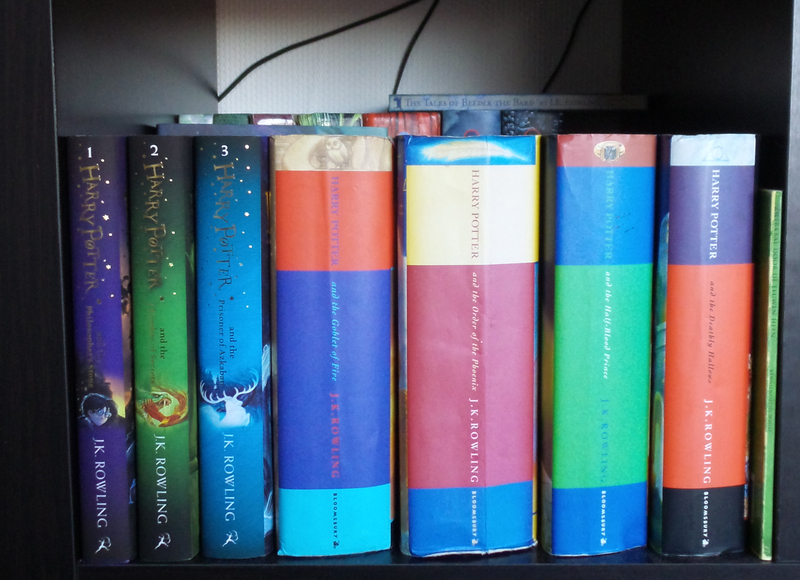 1-4, The Demi-God Files and my Chronicles of Narnia (English) books. 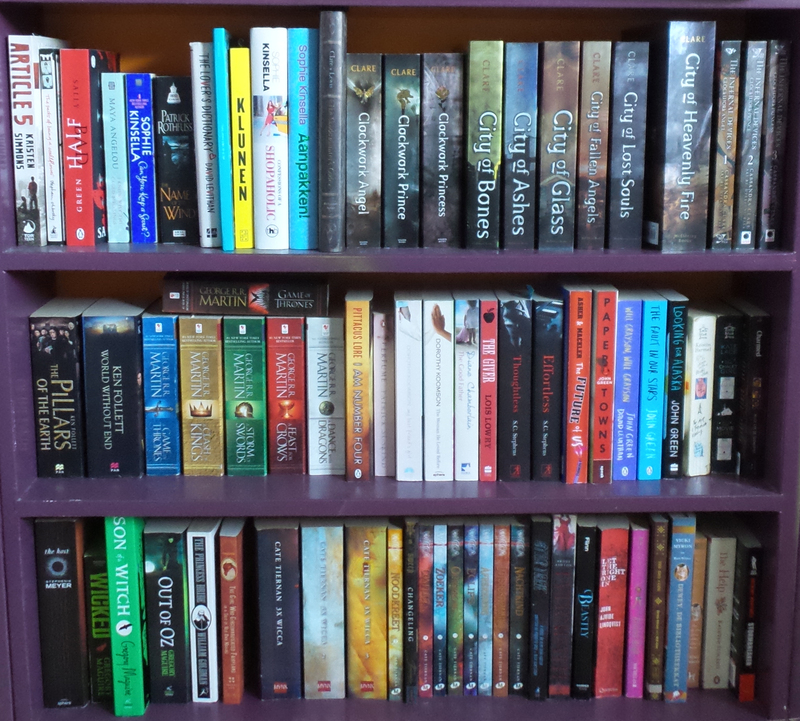 Shelve Three: Ten Tiny Breaths 1-4, Burying Water, Crossfire series, All of my Jamie McGuire books, Find You in the Dark. Behind those are my CD’s. Shelve Four: This shelve holds my Adult romance books, the front row holds the English ones, the back row Dutch and some English ones. Mostly series. 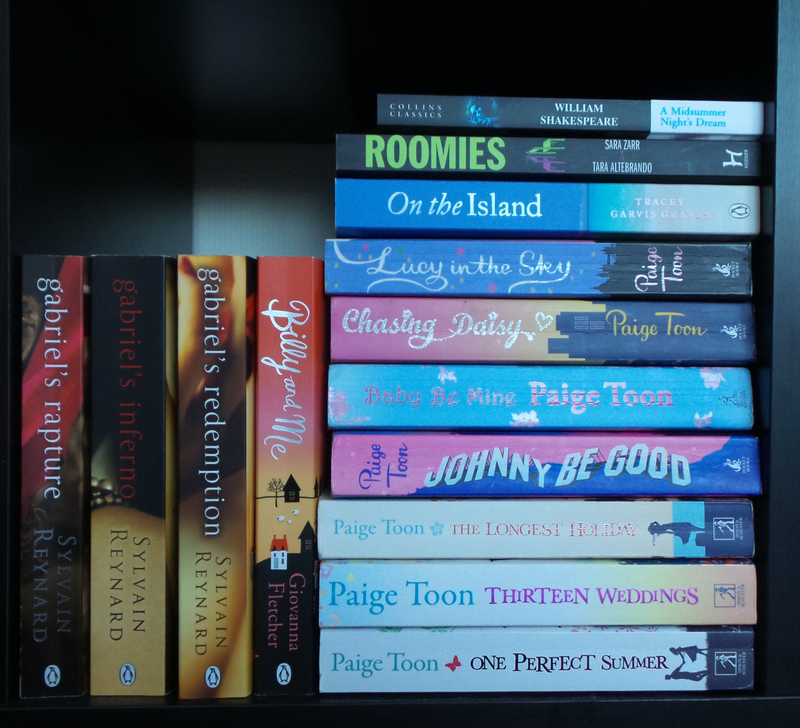 My Gabriel’s Inferno trilogy, My Paige Toon books. Breathless series, Marriage to a Billionaire series, Fifty Shades trilogy and some stand alones. 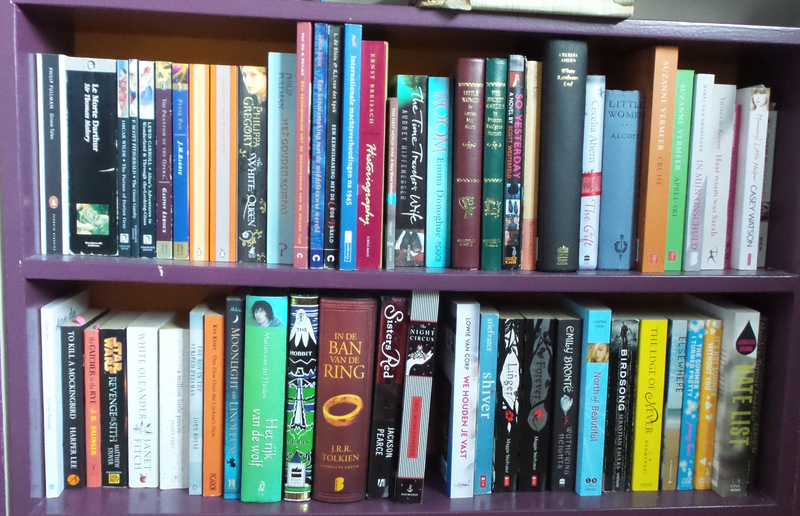 Shelve Five: My Contemporary novels. 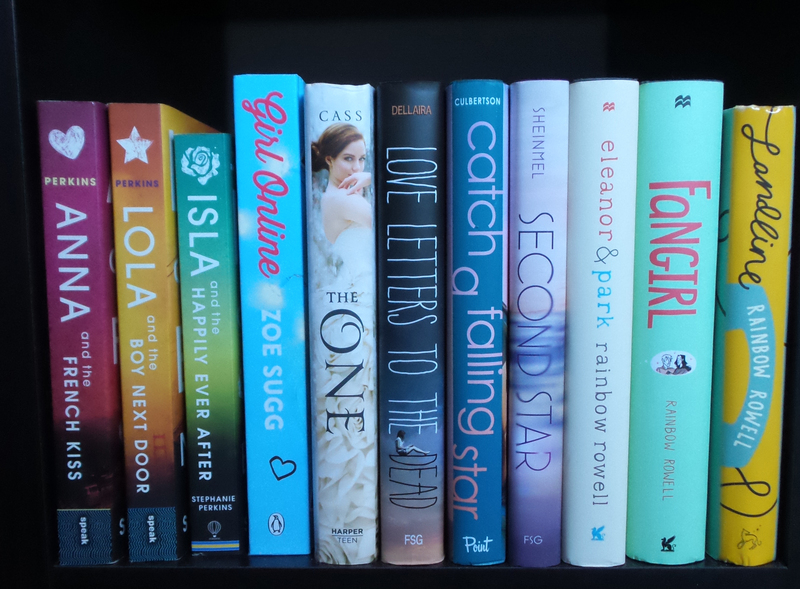 Anna and the French Kiss trilogy, Girl Online, The One (The Selection #3), Rainbow Rowell books and some other standalones. 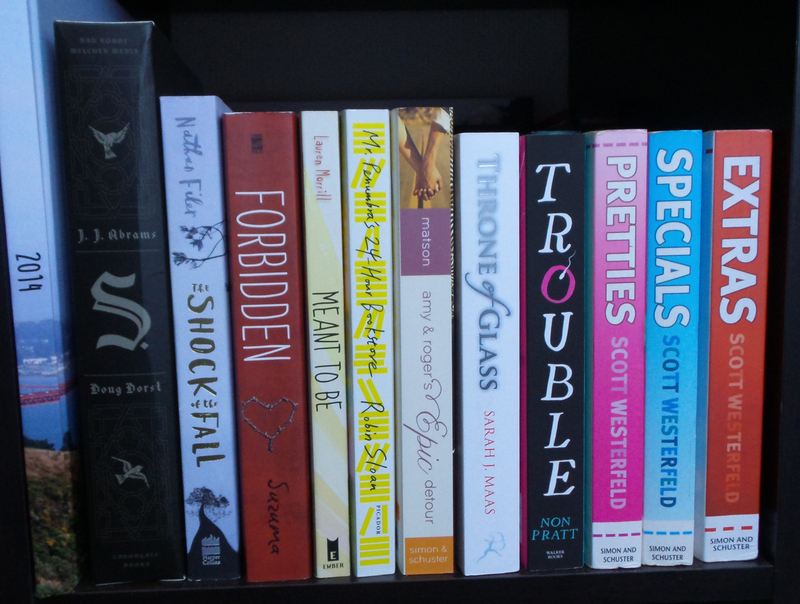 Shelve Six: This shelves holds mostly standalone with two exceptions, the Specials series by Scott Westerfeld and the Shatter Me series by Tahereh Mafi! 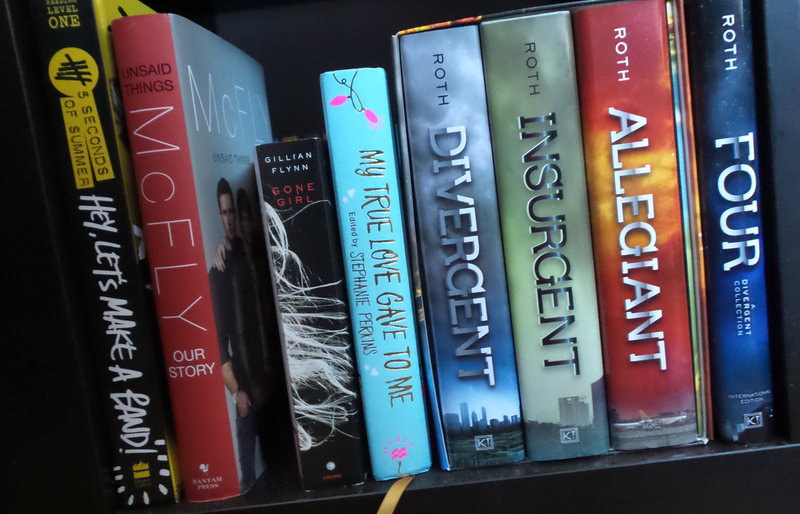 It also houses my two art of.. books, of Frozen and Rise of the Guardians. I love looking through these books and see how they created the movies. 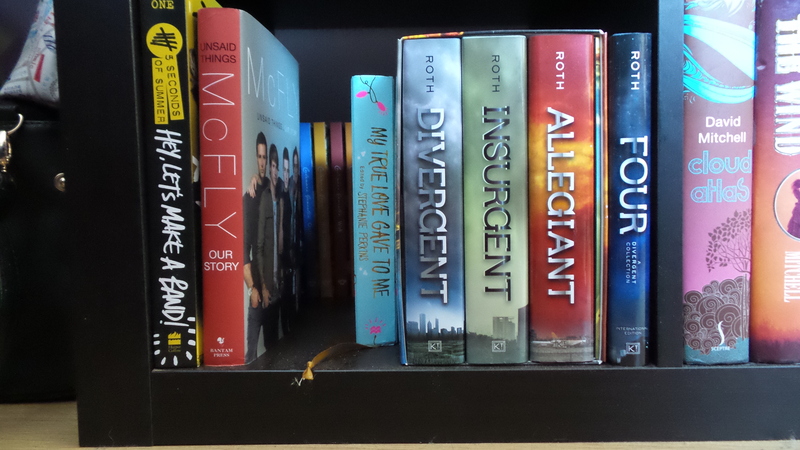 Shelve Seven: This shelf holds two of my band autobiographies, my Divergent trilogy, Gone Girl, My True Love Gave to Me, a select few Dutch Young Adult books, my cookbooks and the third instalment in the Delirium trilogy. 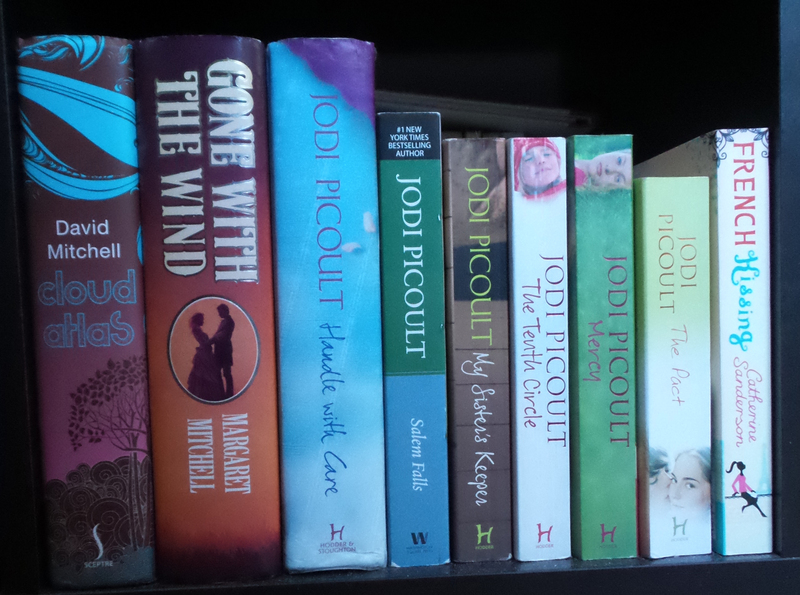 Shelve Eight: This shelve holds a selection of Jodi Picoult books, Cloud Atlas, Gone with the Wind. In the backrow there’s most of my children’s books. 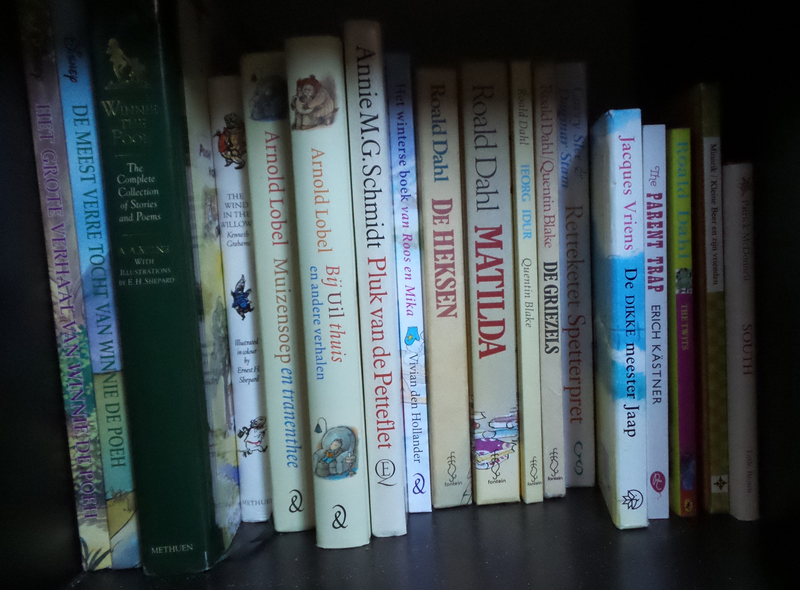 Winnie the Pooh, Wind in the Willows, Some Roald Dahl books, the Parent trap. 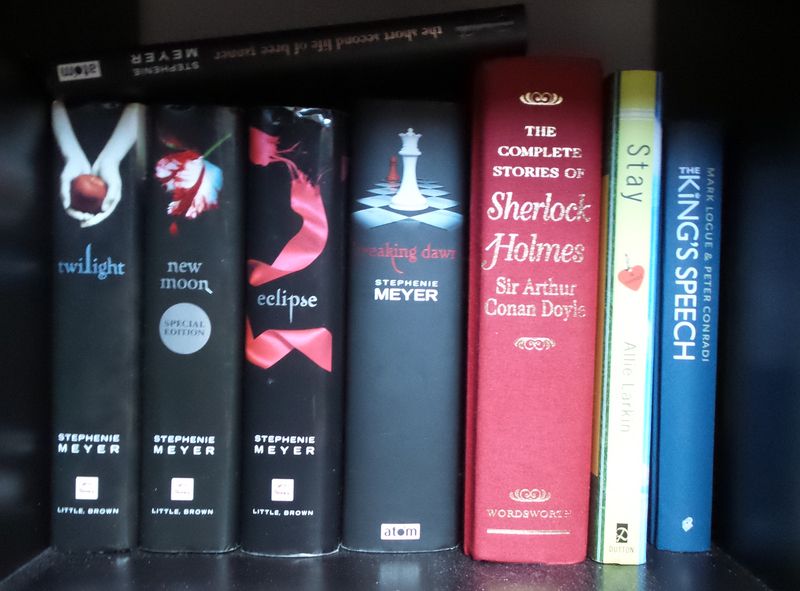 Shelve Nine: The Book Thief, Thirteen Reasons Why, Anna Karenina, Stolen, The Lunar Chronicles, Pleasures (#1-3), Losing It. 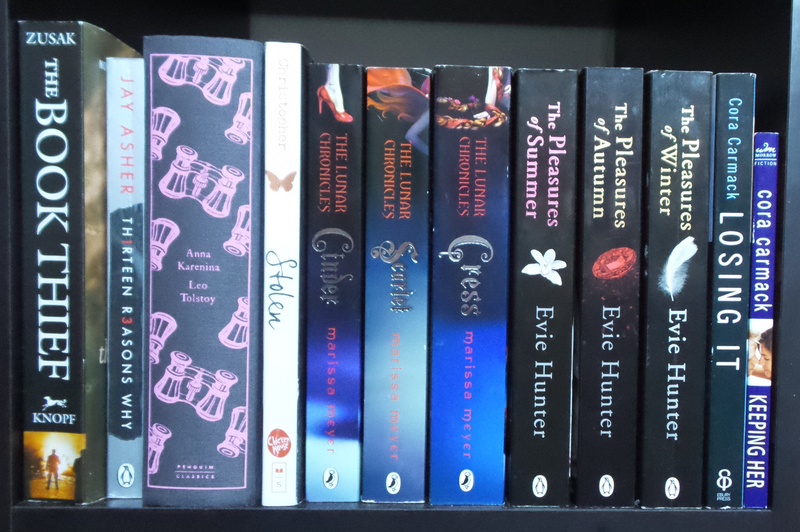 The Backrow holds the Luxe series, Noughts and Crosses, Miss Peregrine’s (#1-2) and Gemma Doyle Trilogy. 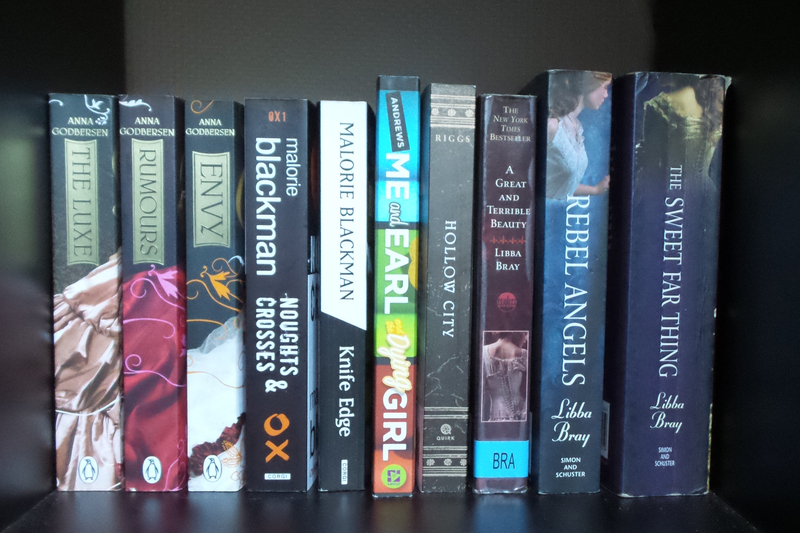 Shelve Ten: Last but not least. 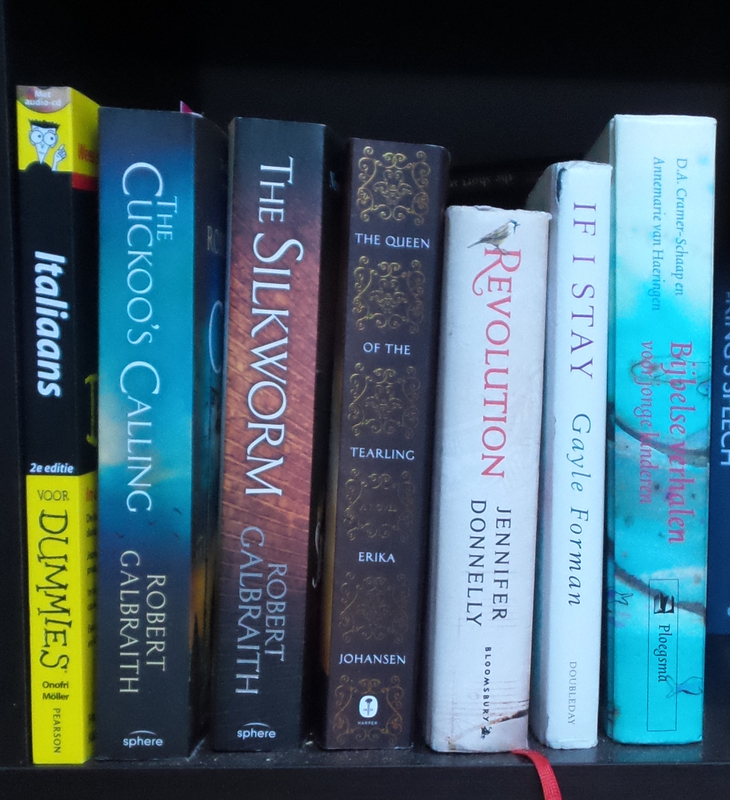 This Shelve holds my Italian for dummies book, the Cormoran Strike (#1-2), The Queen of the Tearling, Revolution, If I Stay, A Children’s bible, My Twilight books, The Complete selection of Sherlock Holmes, the King’s Speech.